John Morgan is submitting 120,000 signatures to get his initiative on the state’s November 2020 ballot. The measure calls for raising the current minimum wage from $8.46 an hour to $10 in September 2021. The wealthy Florida attorney who pushed the state initiative legalizing medical marijuana has a new target — increasing the state’s minimum wage to $15 an hour. 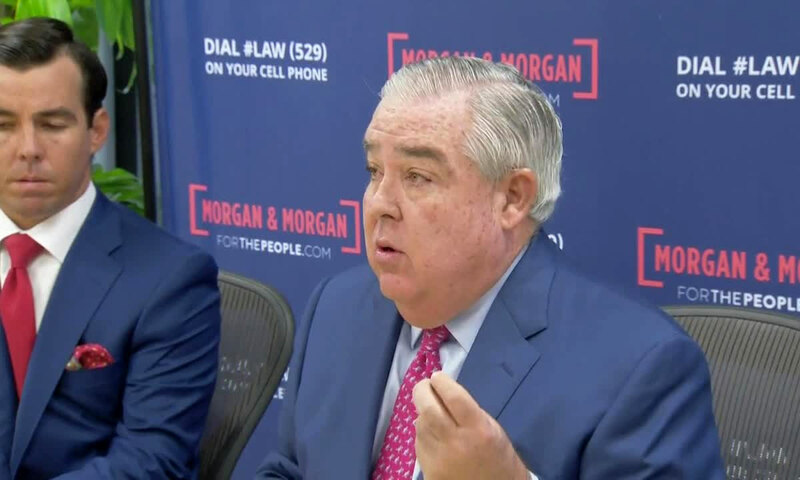 John Morgan told an Orlando news conference that he’s submitting 120,000 signatures to get his initiative on the state’s November 2020 ballot, well over the 76,000 verified signatures required to get a judicial review. He would then need to reach 766,000 signatures to qualify for the ballot. The measure calls for raising the current minimum wage from $8.46 an hour to $10 in September 2021 with $1 an hour increases annually until it reaches $15 in 2026, a level no state currently has but some will hit by the mid-2020s. Florida’s minimum wage is already higher than that of 22 states, according to the National Conference of State Legislatures. The federal minimum is $7.25 an hour. Morgan, a personal injury lawyer, bankrolled a failed medical marijuana initiative in 2014 and one that passed in 2016. He said a minimum wage increase will benefit Florida companies through lower turnover and a more motivated workforce and help taxpayers as the government won’t have to subsidize low-income workers through welfare payments. “Rather than adding another new mandates on local businesses, we should come together to ensure there’s a universal path to prosperity through job training that creates $50,000 careers for the 1.7 percent of Floridians earning a minimum wage full time,” spokeswoman Edie Ousley said. Some of Florida’s biggest and better-known employers have already raised their minimum wage. Walt Disney World’s heavily unionized workforce last year approved a $15 minimum wage starting in 2021, while the non-union Universal Orlando Resort is raising its minimum pay to $12. Walmart now has an $11 minimum wage, Target will pay $15 starting next year and Amazon is at $15. The District of Columbia has the highest minimum wage at $13.25, while California and Massachusetts are at $12. Those two states, D.C. and New York are scheduled to have $15 minimum wages — D.C. by next year, California by 2022, Massachusetts by 2023 and New York at an undetermined date based on inflation. Some cities such as Seattle have their own minimum wages that are higher than their state’s. On the other side, states with higher minimum wages such as Vermont, Hawaii and Massachusetts have low unemployment rates, while California and New York are slightly above the national average. The District of Columbia’s unemployment rate of 5.5 percent is topped only by Alaska’s 6.3 percent — its minimum wage is $9.89 an hour.